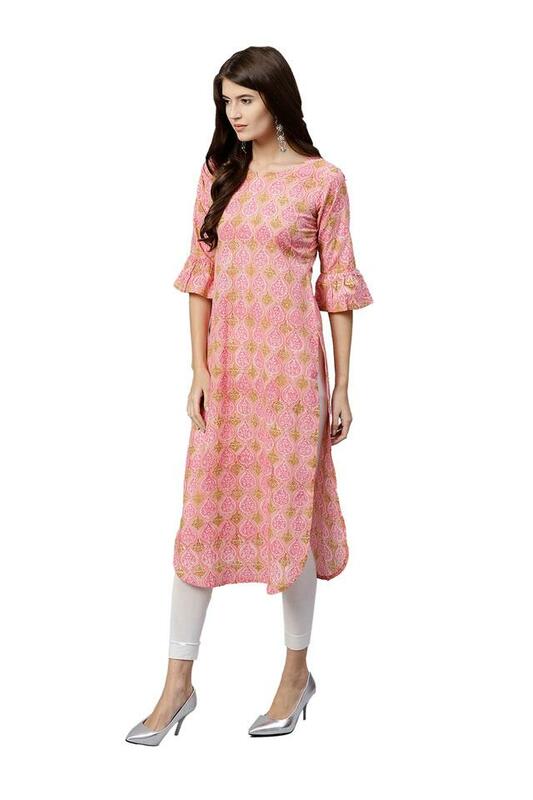 Cut to a relaxed silhouette, this straight fit kurta from Gerua will grace your look at special events. It is made from cotton fabric and stays strong against the skin. 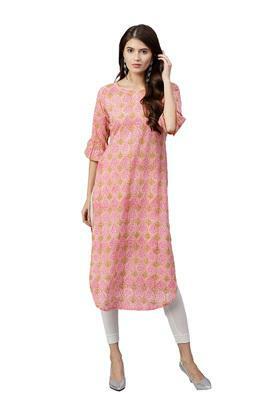 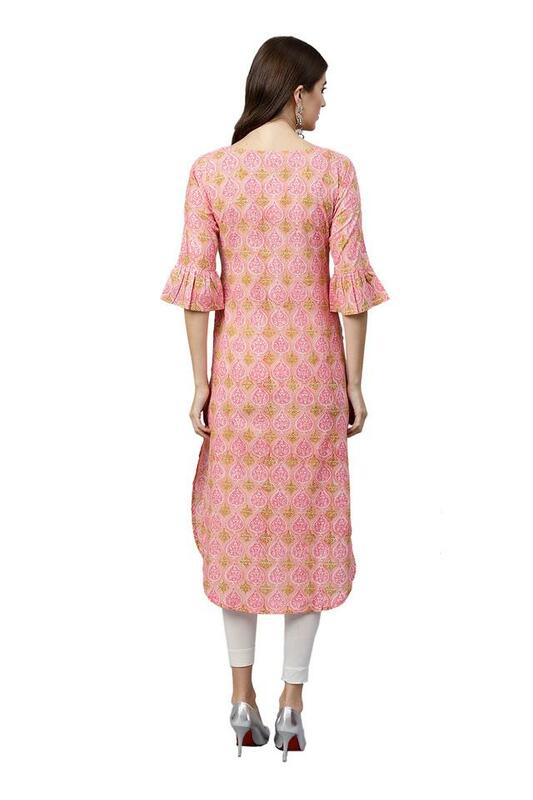 The kurta has bell sleeves and a notched neck that make it a comfortable wear. Add an appeal to your look by opting for this straight fit kurta. 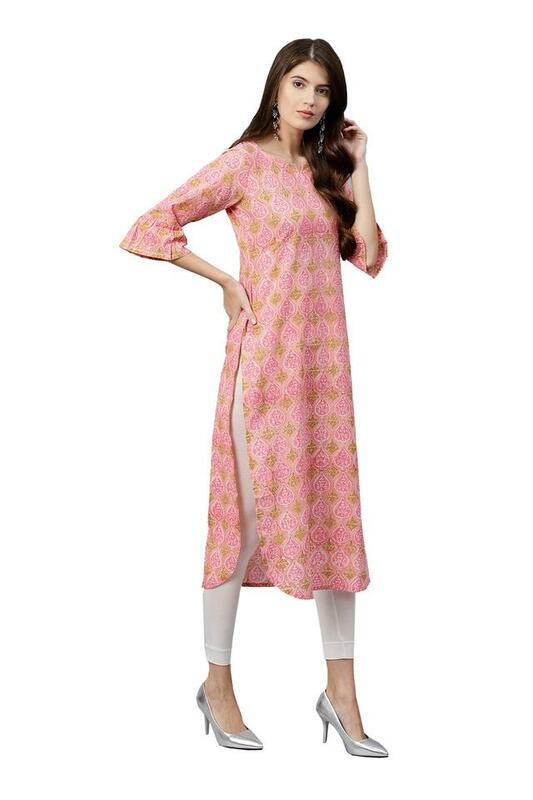 Pair it up with leggings and sandals for any outing.